Those who lead churches do so because of a call from God, but also because of a desire to serve others planted in their heart by God. Pastors follow this call and develop this desire to please God. In the middle of church life, however, things can get bogged down. What I have noticed in churches is that a codependent conditions can disrupt a pastor and his family. 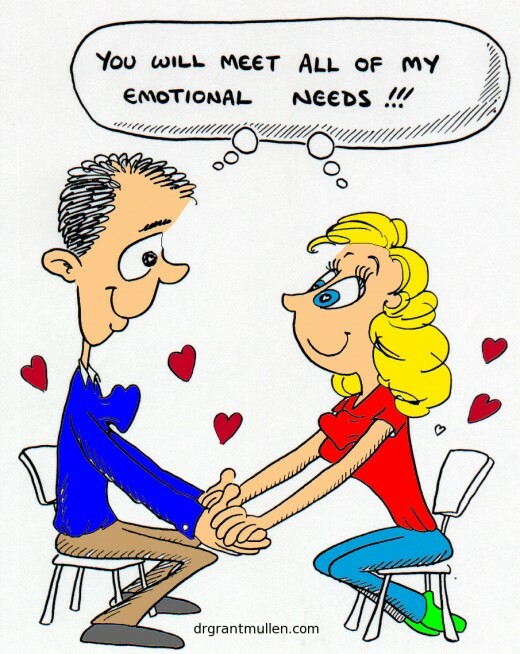 In essence, what is being said is that one who is codependent depends on being needed or controlled in the relationship. When we talk about pastors and churches there is a relationship. Often, I find this relationship can be codependent. Let’s review a few signs of codependency and refer back to the pastor/church relationship. Low Self-Esteem. Just because a church is an organization rather than person does not mean that collectively she cannot experience low self-esteem. Thousands of churches suffer from low self-esteem. There is a feeling that they are not good enough, savvy enough, or lovely enough. How many churches do you know that compare themselves to other churches rather than to Scripture? Your church’s value is not tied to size or technology. Her value is in Christ. In this case, the church is codependent upon the pastor that will just give them attention. This type of church can sap the energy from a pastor quickly. As a leader in this context, you will need to help them develop esteem and value apart from your presence. The church is valuable because God has deemed it so. Value and effectiveness are different. The church may not be very effective right now because of an esteem issue. Help them develop value and the effectiveness will return. People-pleasing. Churches with low esteem want to win the approval of someone. Because of the transient nature of pastors, churches will look to the community for approval. In doing so, policies and decisions will be made accordingly. A people-pleasing church will attempt to have a class for EVERYONE. For example, a single female moves into the community and attends church. While she is the only single in the church, there will be an attempt to create an entire ministry to support and please her. A codependent church cannot handle being left, so she will do anything to please those who will cross her threshold. These will also have a plethora of ministries trying to catch someone. In trying to be the church for everyone, she becomes the church for really no one. Poor boundaries. This symptom will mostly affect the pastor and his family. Codependent churches don’t get boundaries. Those who still live in a parsonage next door can appreciate this idea! There will be an insertion by the church into your life in an unhealthy way. Thus, the pastor loses family time, quiet time, and down time. God has called pastors to serve churches, but not to the detriment of his marriage and his kids. Pastors and churches must understand boundaries. Not only physical boundaries but emotional also. Codependent churches have difficulty also opening up to a new pastor. While they will get into your space, they are not willing to allow you to get into theirs. The contradiction is obvious but only magnifies the unhealthiness. Obsessions. What do many churches talk about in their meetings? Other churches. Instead of trying to decipher God’s plan for them they are constantly trying to become that other, more glorious, church. Church A has all the people let’s see what they are doing and do that. Church B seems to have cool worship so let’s do that. Often, the obsessions turn into control and communication issues. When the by-laws are longer than Leviticus we have a problem. When every imaginable scenario must be addressed, the church is focused on all the wrong instead of creating procedures to encourage doing the right. Obsessing over how things used to be is just a sign of fear for the future. The codependent church will want to always look back to a golden era rather than forge ahead. Because it is in the past, there is a level of control and fantasy that feeds the obsession. The pastor cannot do what is best because of the good that fills the calendar. The people are robbed of the blessing to serve and do not develop spiritually. The pastor gets burned out. The people soon expect him to do it all. The pastor loses his family. The people lose their pastor. Pastors, as you are led of God to embrace your church please remember to love her as Christ loves her. Teach her about her value. Lead her to prioritize ministry. Model how to say yes and no. Focus on God’s plan and setting goals to achieve that plan. Churches spiral when they change pastors. This is exponentially worse when that change happens every 2 years. If your church is exhibiting these symptoms and you’re not the pastor, stem the tide and push back. Healing will not be overnight, but God is faithful. Next Can We Truly Co-Exist?